Hello Guys!! 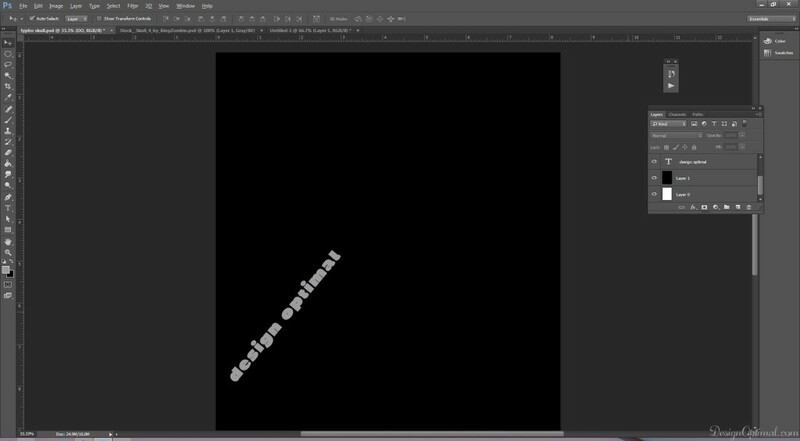 Today we will discuss how to create a Typographic Photoshop effect. This will be about a typography effect with a skull, and the final result will look like the skull is made out of the text showing our site name. 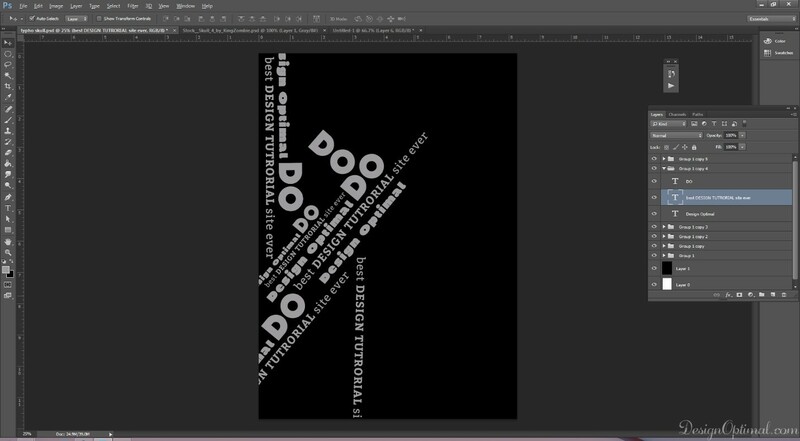 Typography effects, typo images or posters can be seen all over the web. 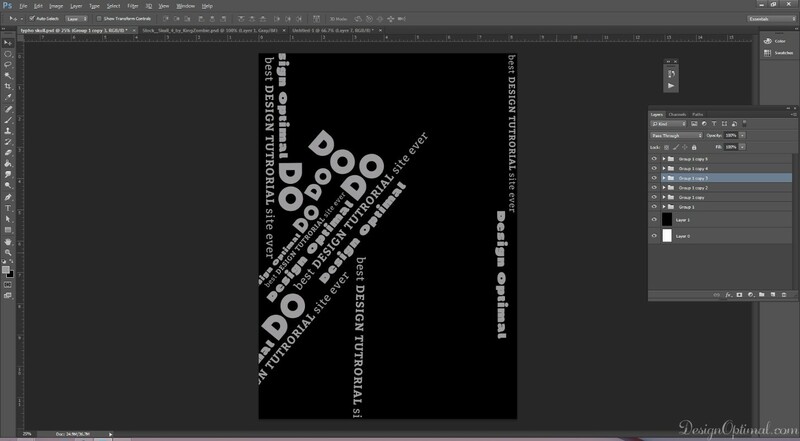 The typography effects or manipulations are have been always popular thing in Graphics industry and among the designers, because we can do amazing things with only typo without including any images to it. 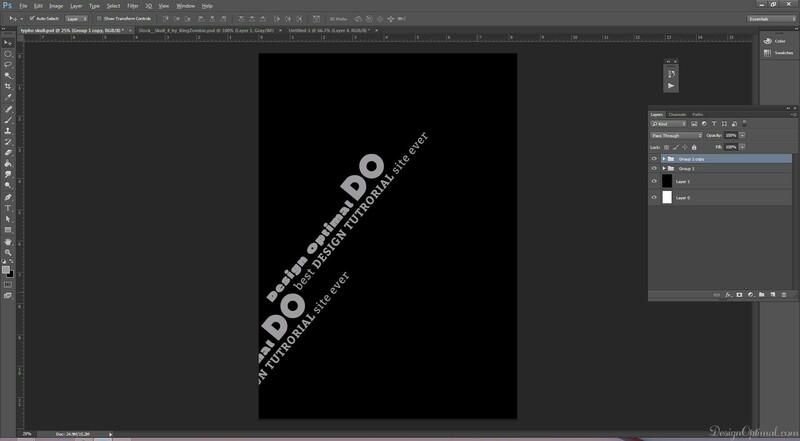 Typography posters or manipulations can convey strong message or idea to the society. Now a days, you can find most of the adverts that are only done with letters with two or three font types and sizes. 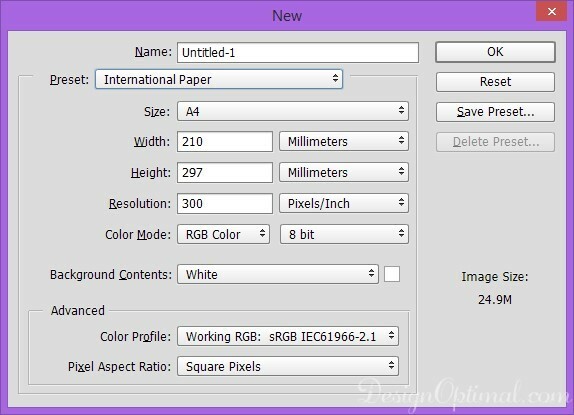 Open Adobe Photoshop and create a new document of A4 size /color mode: RGB/300px resolution. 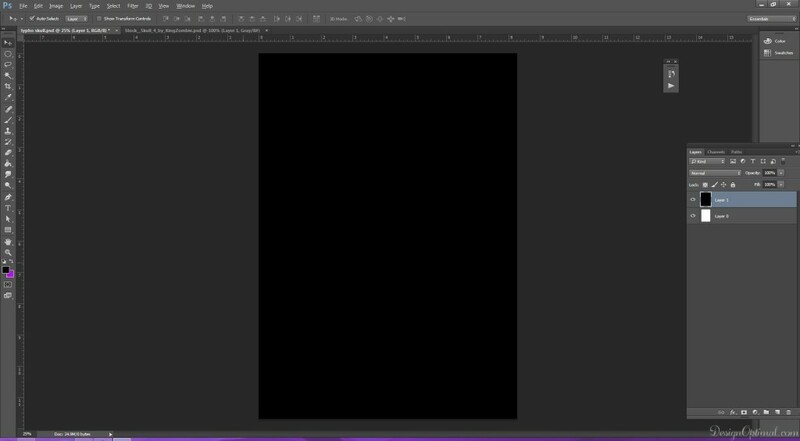 Then fill it with black. Next take the type tool and start typing words of your preference. 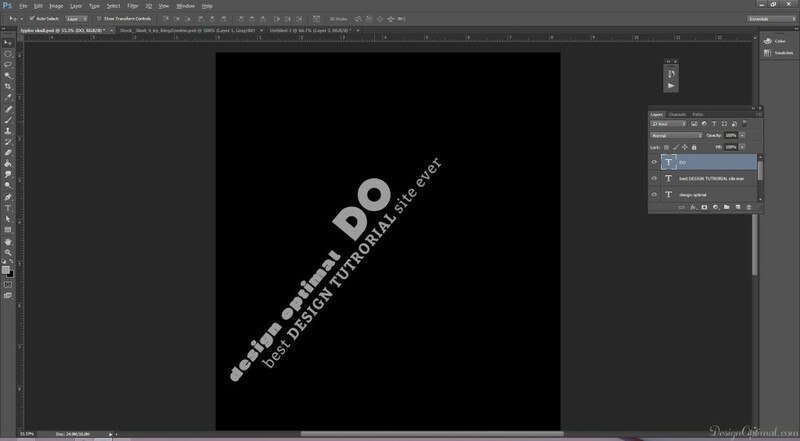 For this tutorial we have typed as design optimal / best DESIGN TUTRORIAL site ever/DO. 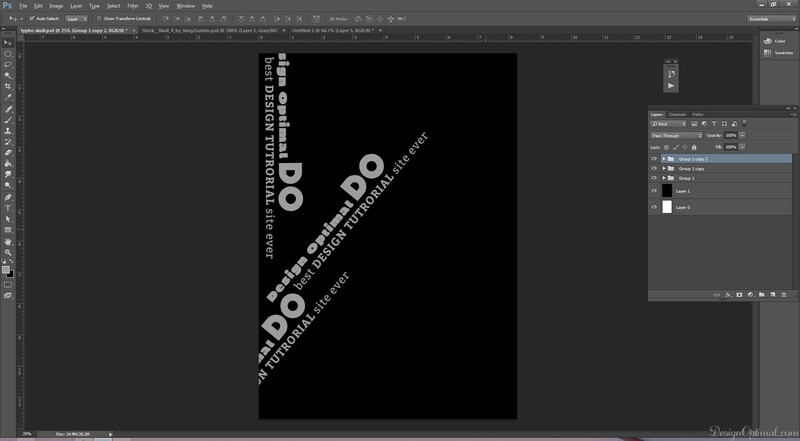 The font color will be #9f9ca0. Type these words separately in different layers. The fonts that we used will be BP Diet Ultra Black/ Bitter Bold/ Kilogram Regular. The end result so far is shown below. 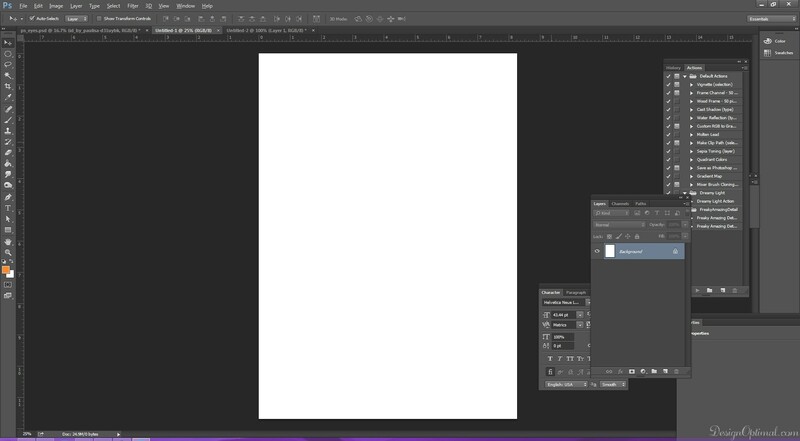 Next duplicate the layers and keep them in different positions and angels. Reduce or increase the sizes of each word as you wish but keep the overall look interconnected. Keep them in different places.